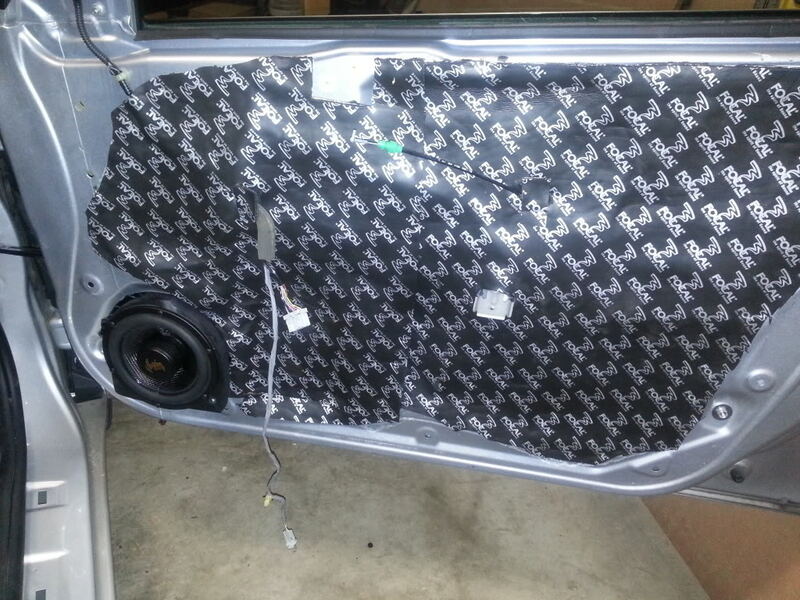 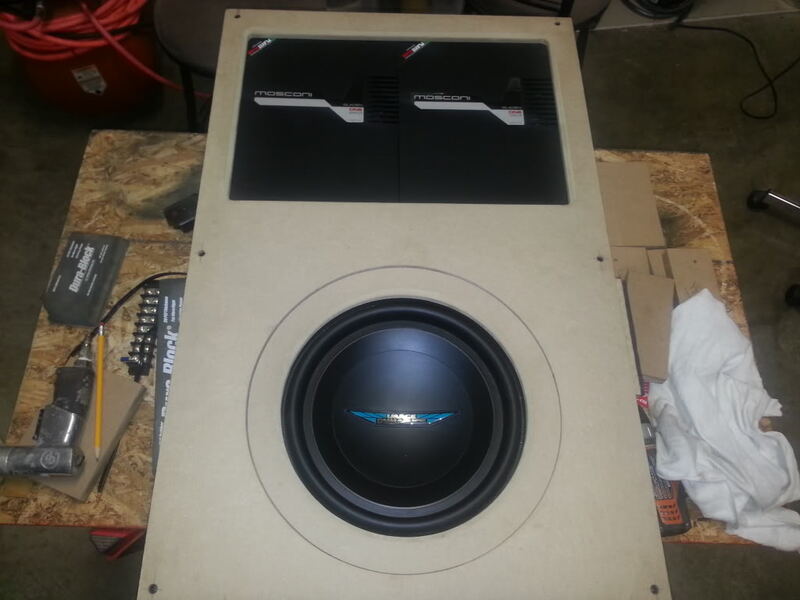 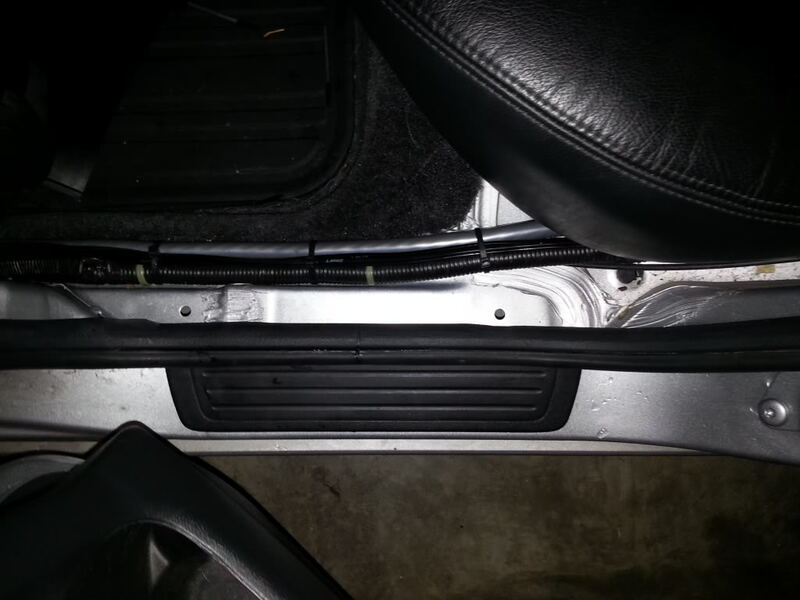 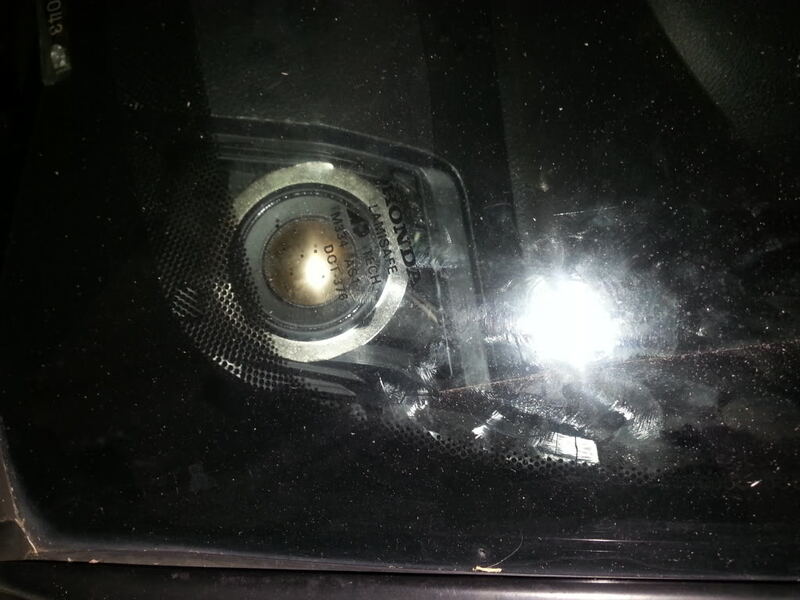 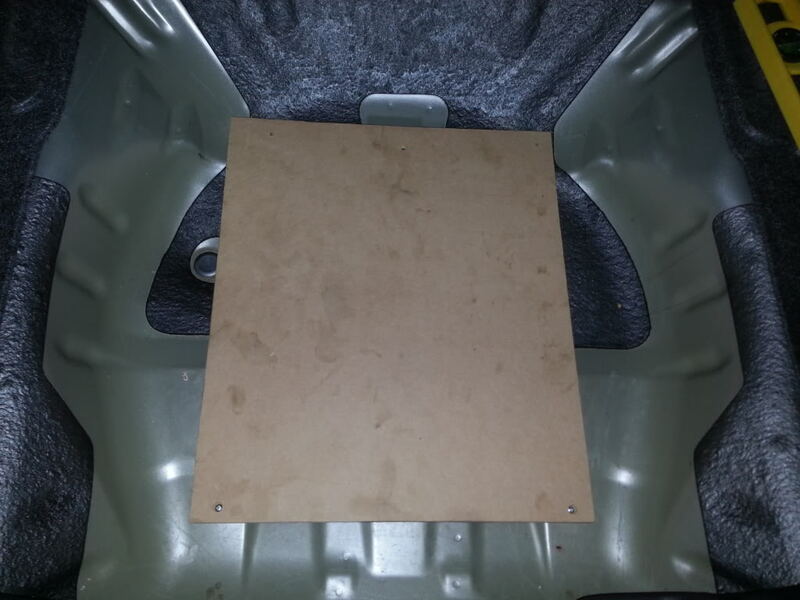 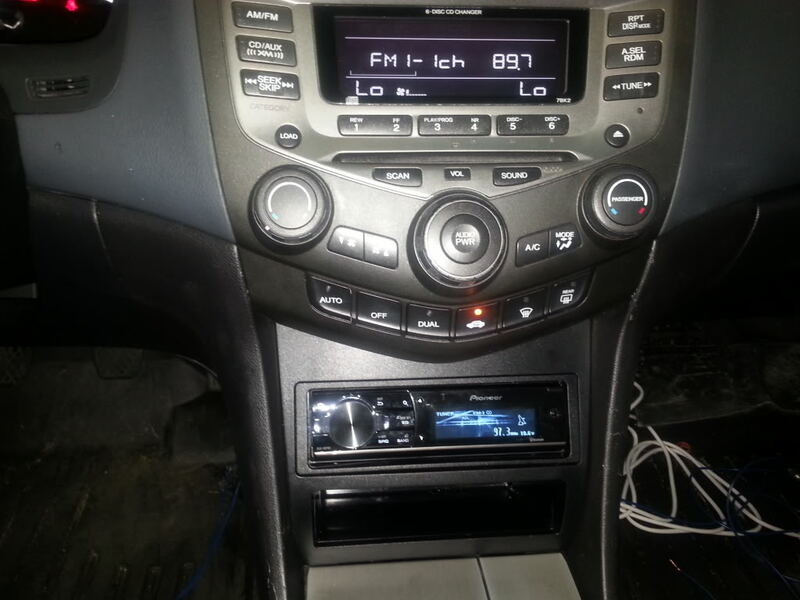 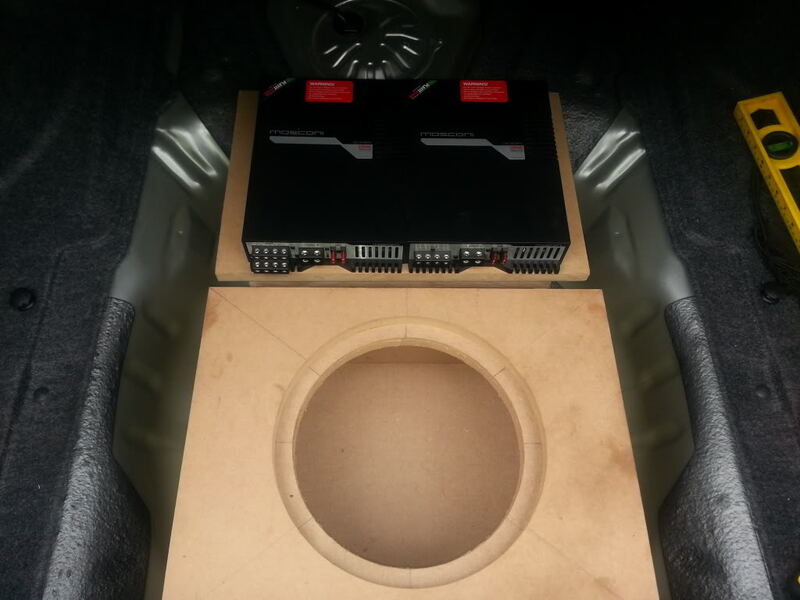 This is a sound quality build I did for a friend that owns a 2006 honda accord sedan. 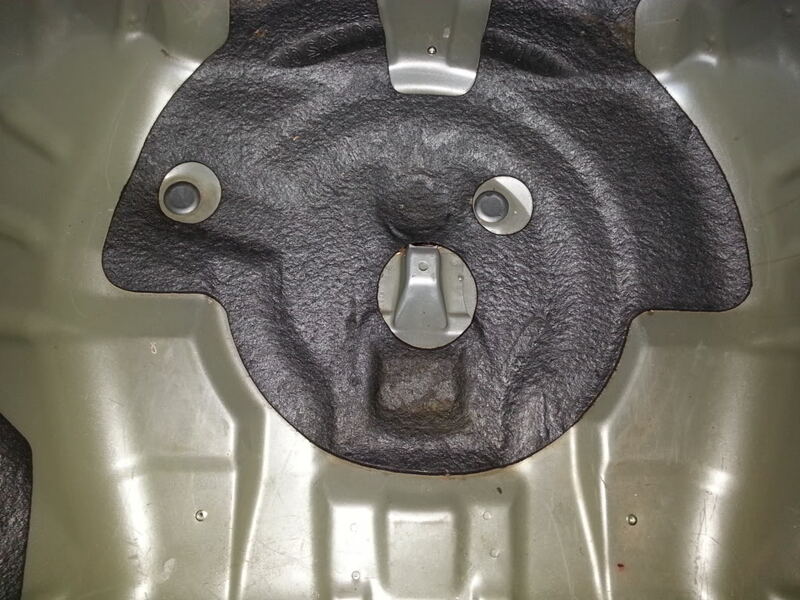 sedan. 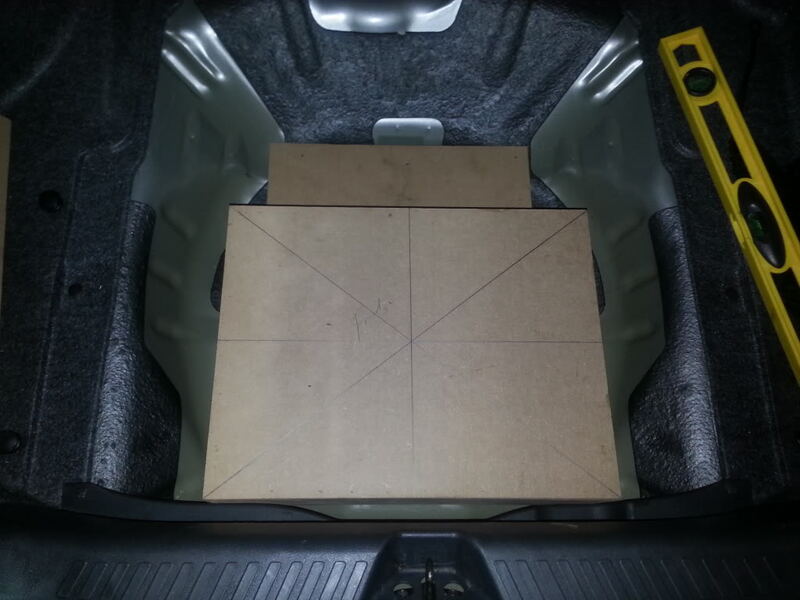 The goal of the system will be a stealth build where everything in the trunk will be out of sight. 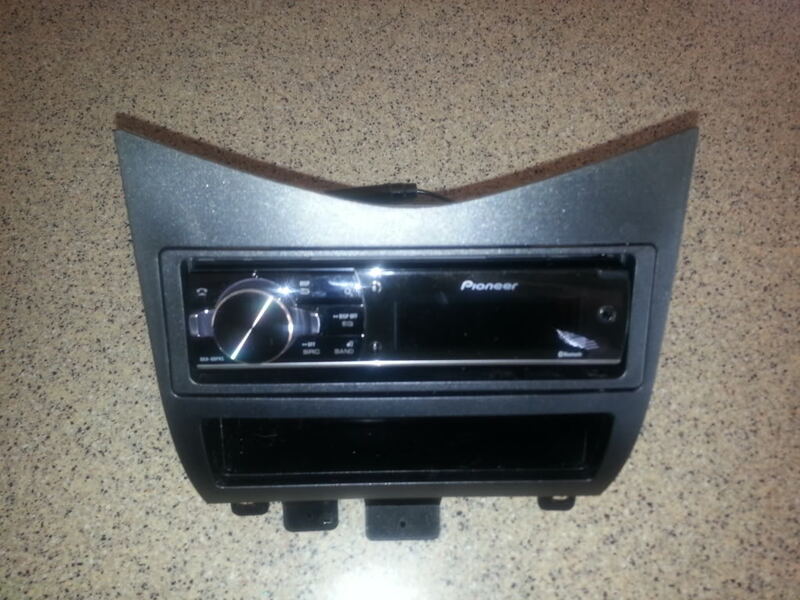 The pioneer 80prs was installed using Bestkits install in lower storage pocket. 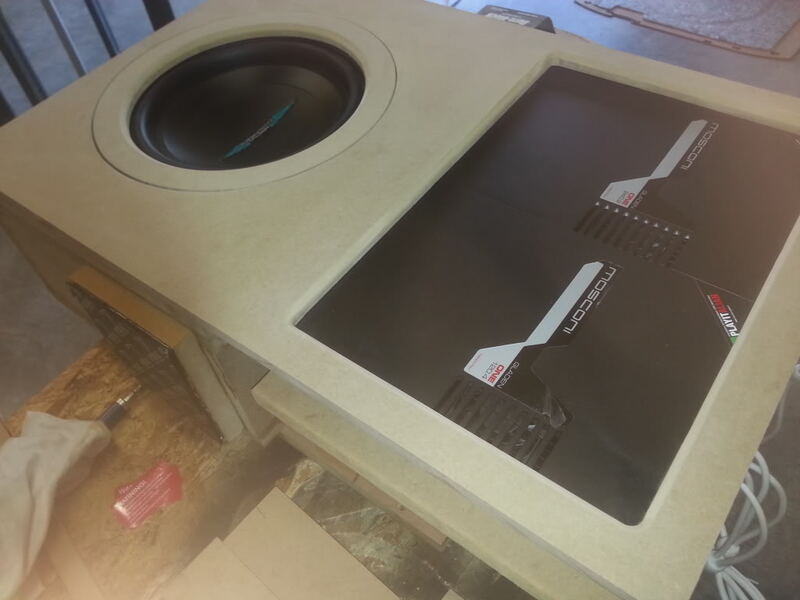 with focal Bam XXXL and Blackhole tile. 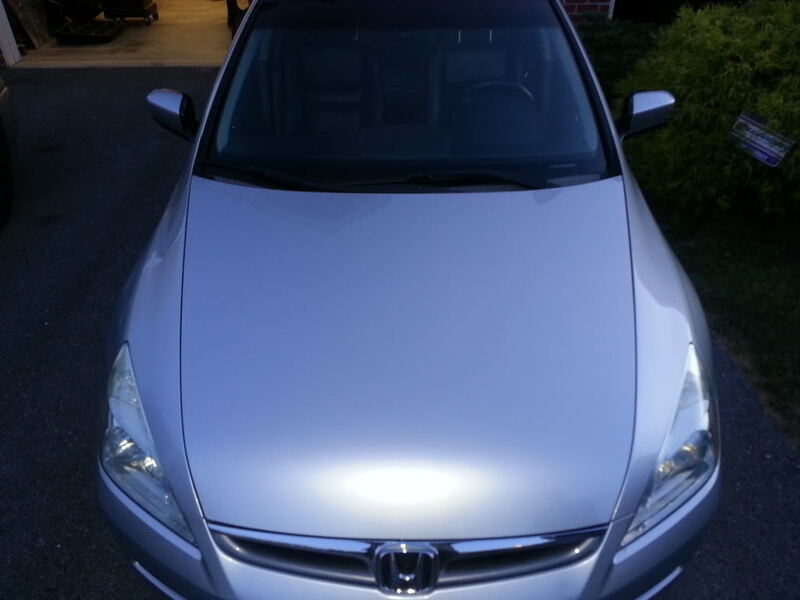 Last edited by audioman79; 08-27-2013 at 07:14 PM. 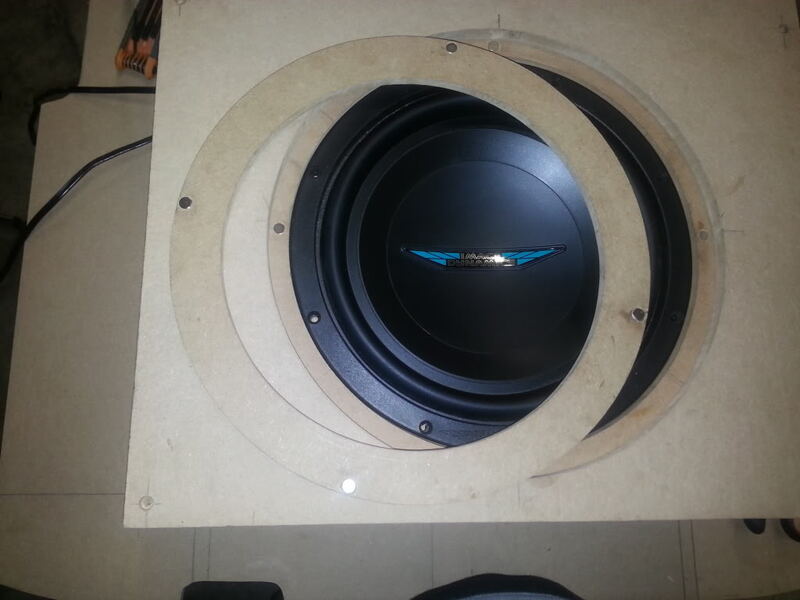 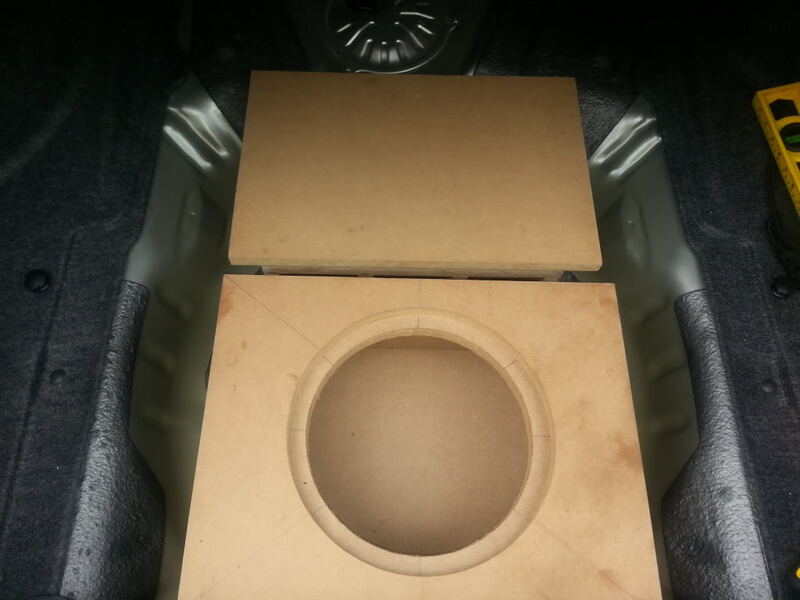 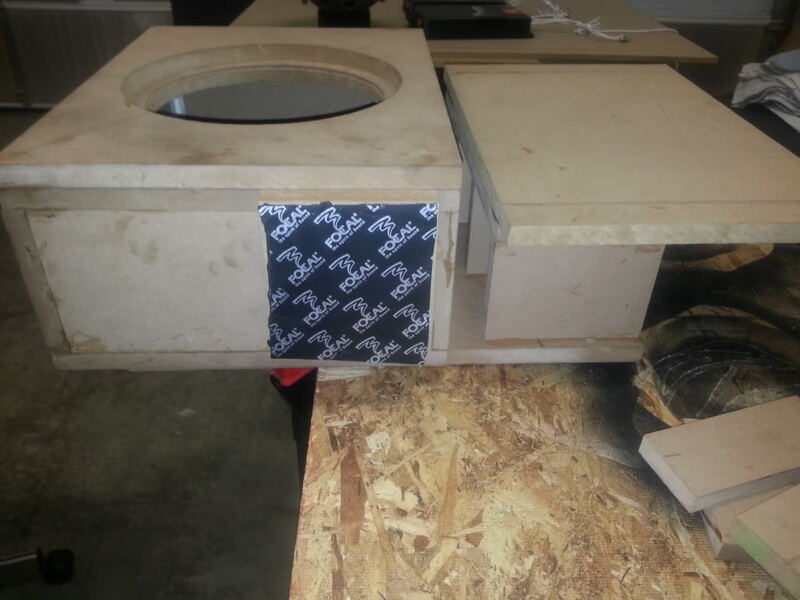 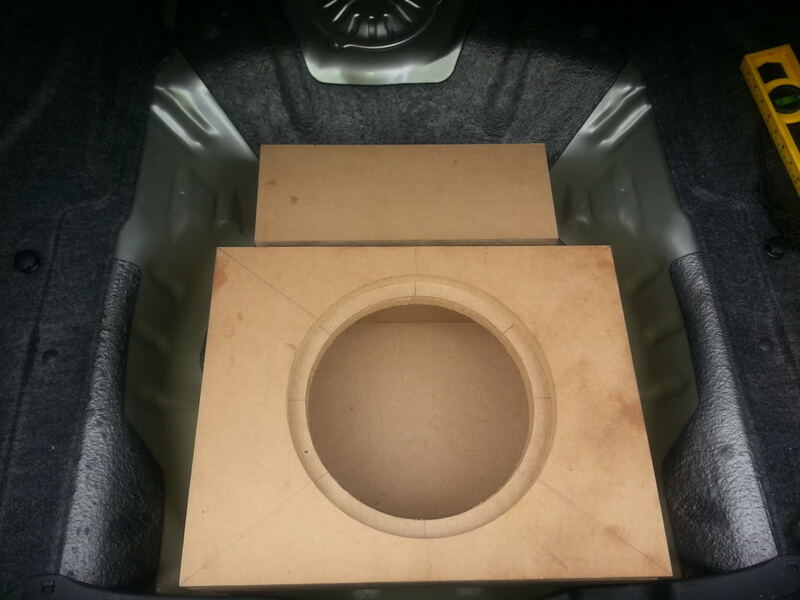 where made from 3/4" mdf for the front doors to mount the illusion audio c6 mids. 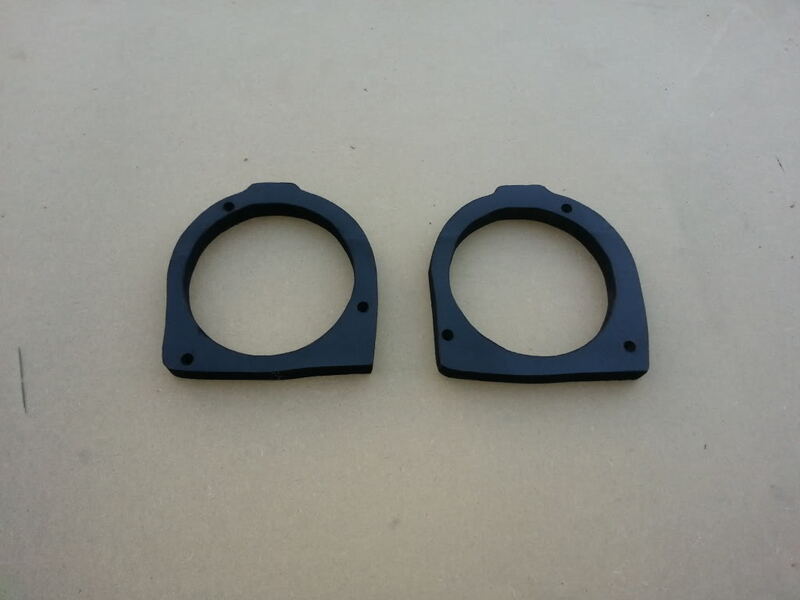 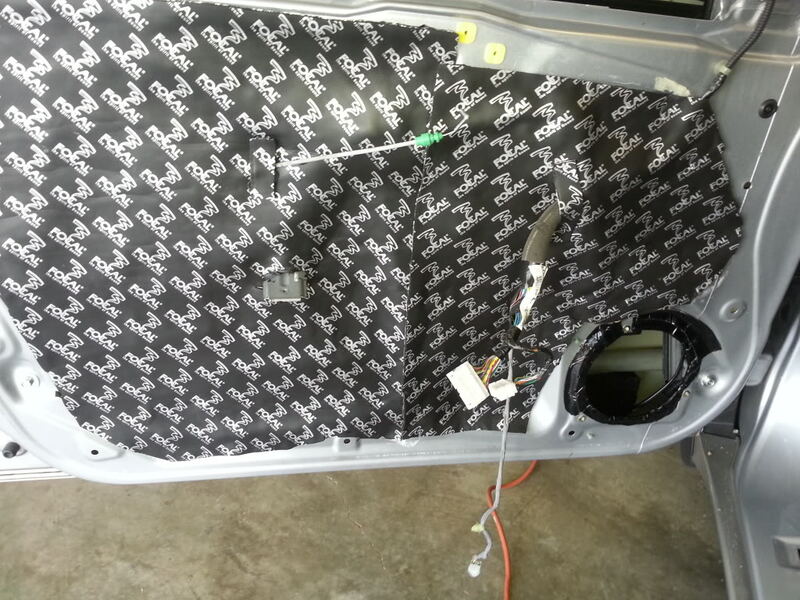 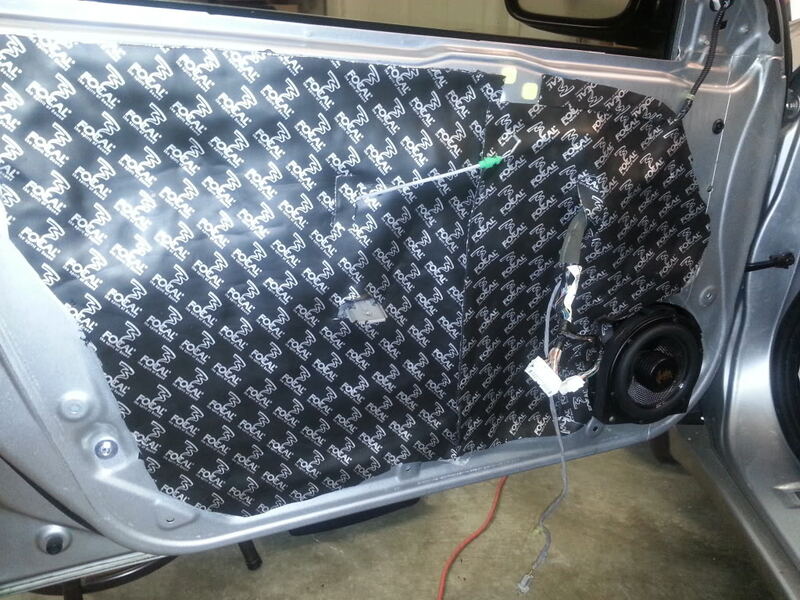 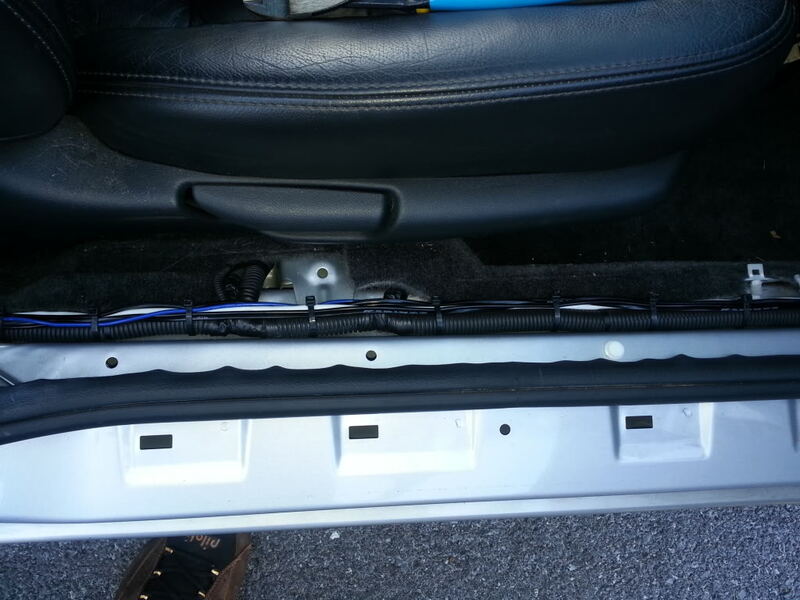 Then adapters were sprayed with bed liner. 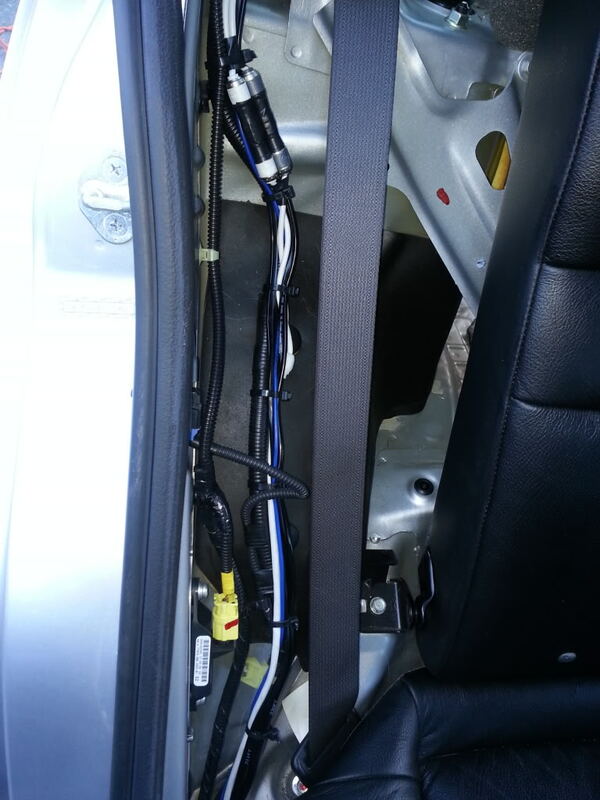 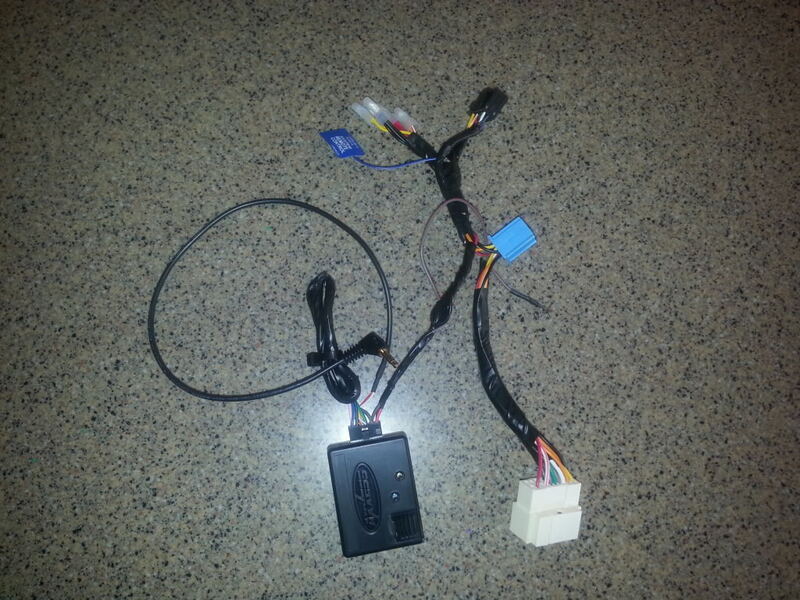 I ran 1/0 gauge power wire to power the system on the driver side and ran the signal wires down the passenger side. 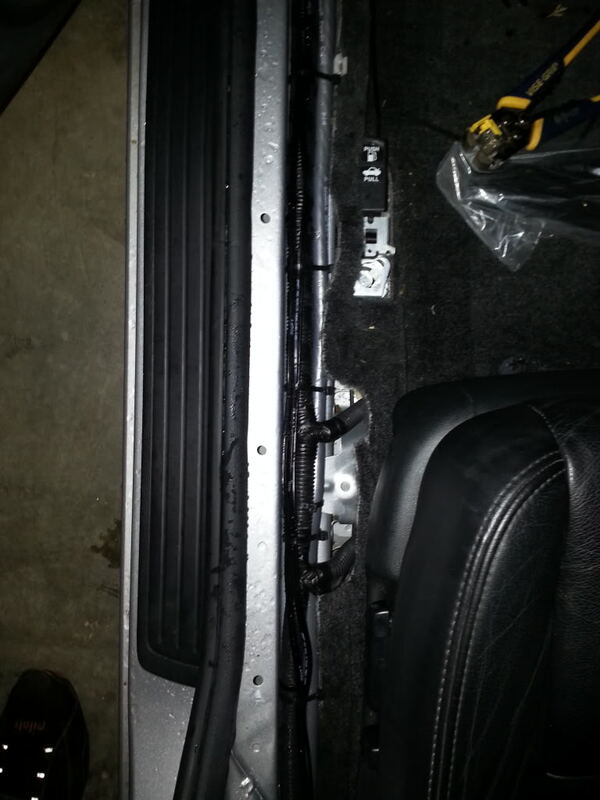 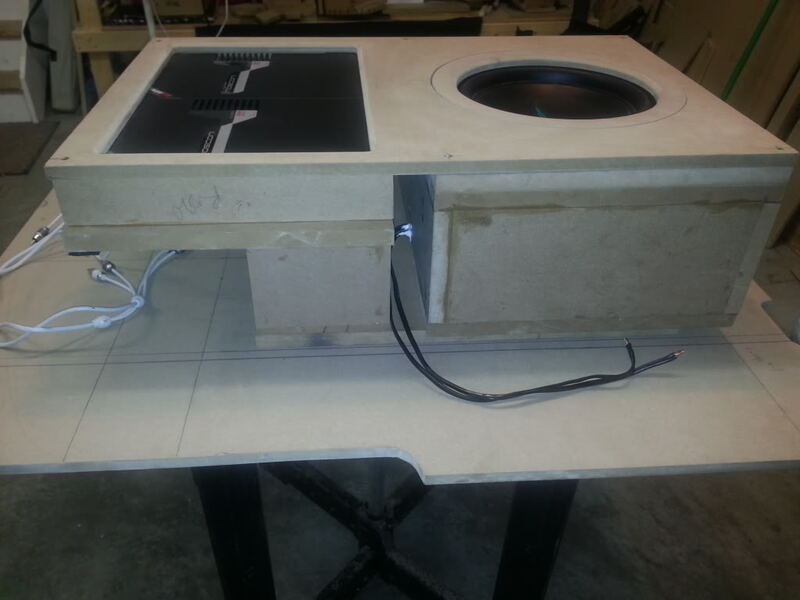 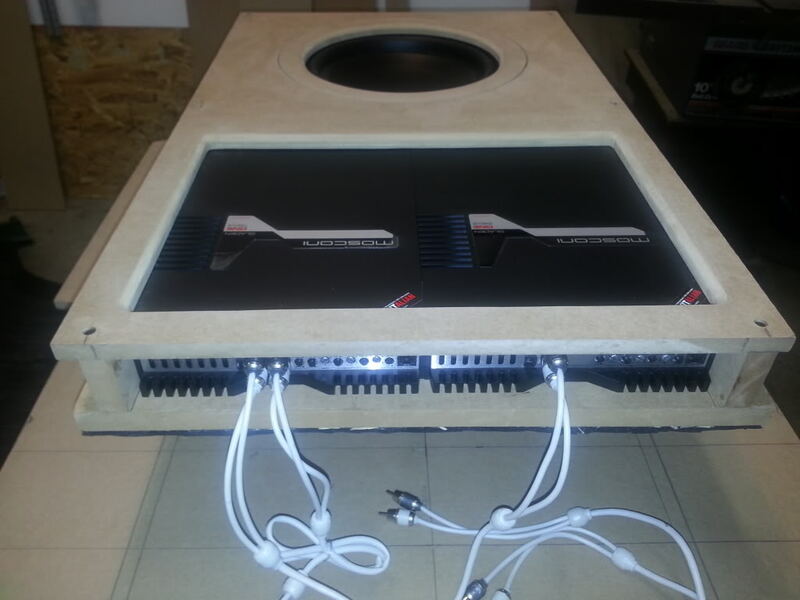 Moving onto the trunk, a 3/4" mdf base was mounted to the spare tire area to house the amp rack and a sealed .75 cu.ft enclosure. 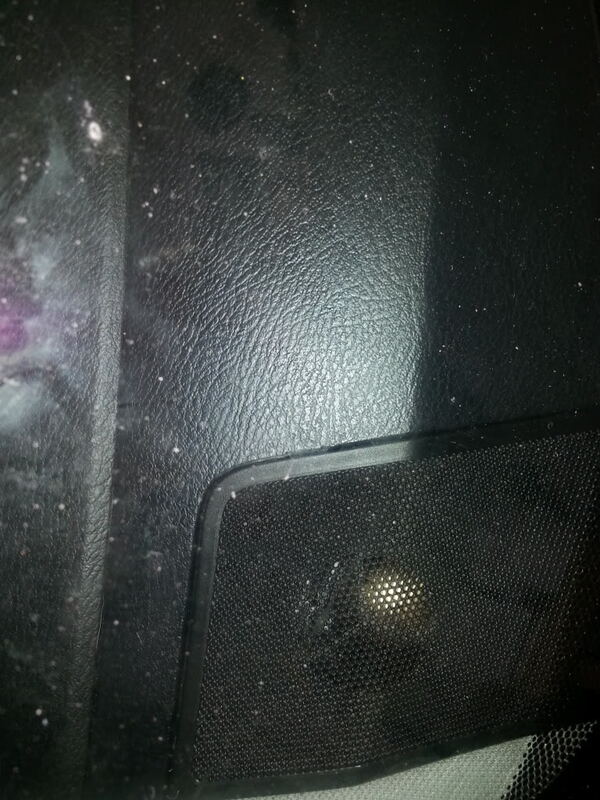 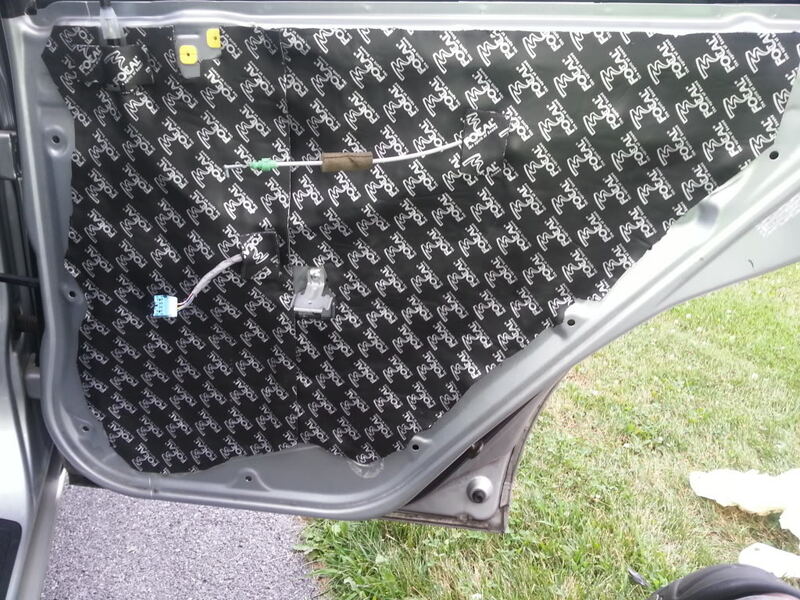 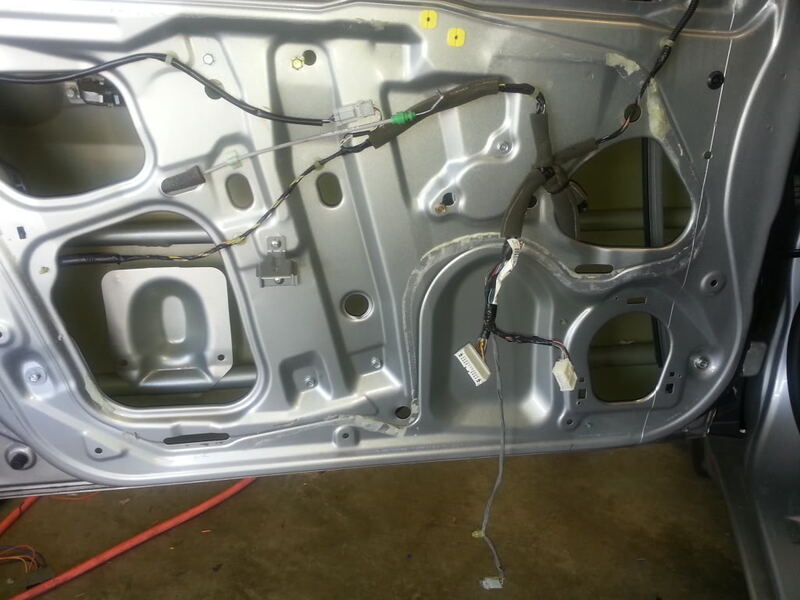 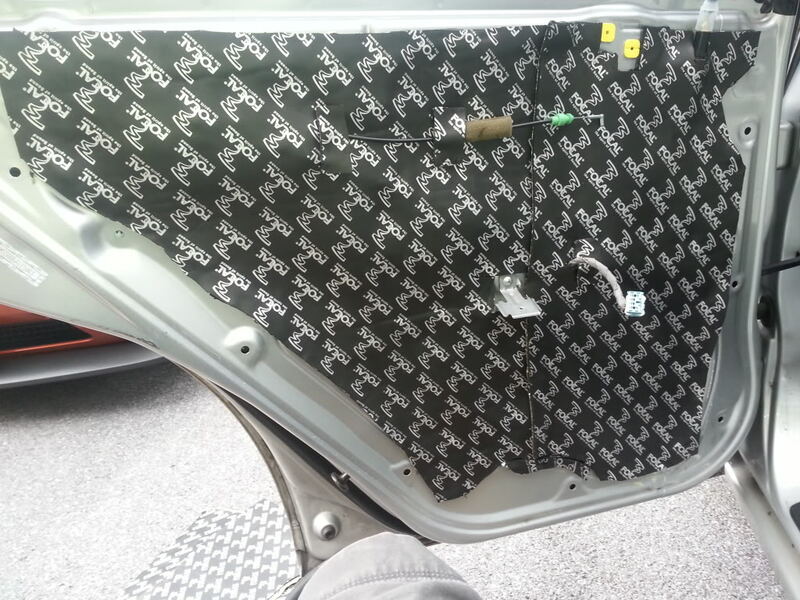 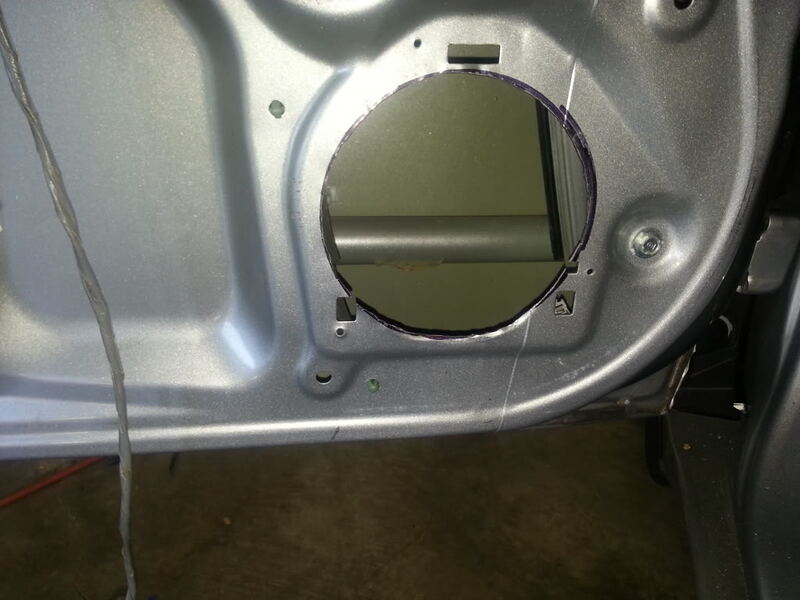 screw rivets were used to secure the base to the car. 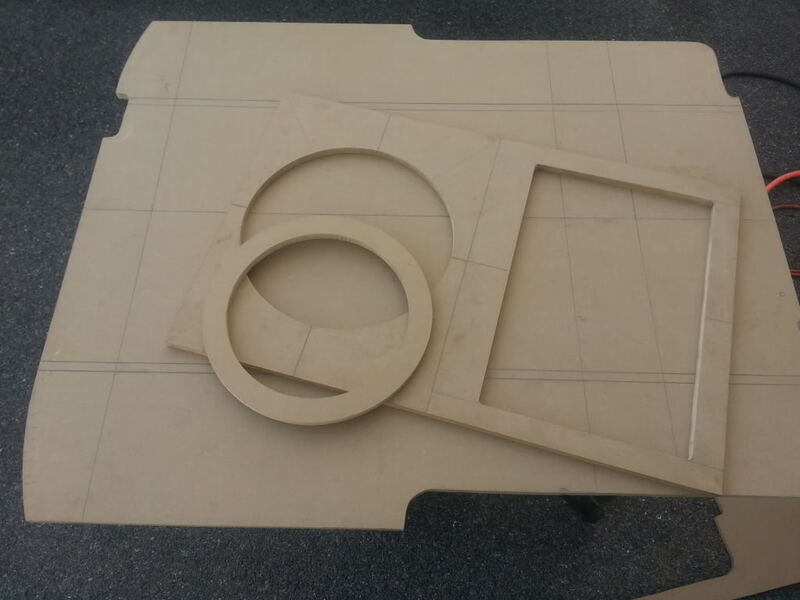 Next the trim panels are cut, routed and sanded.